Dogs are the best friends we can have and they just want love in return. Well, and a walk and to be fed. Add your special friend's name on this ceramic bowl. Great for medium to large dogs. 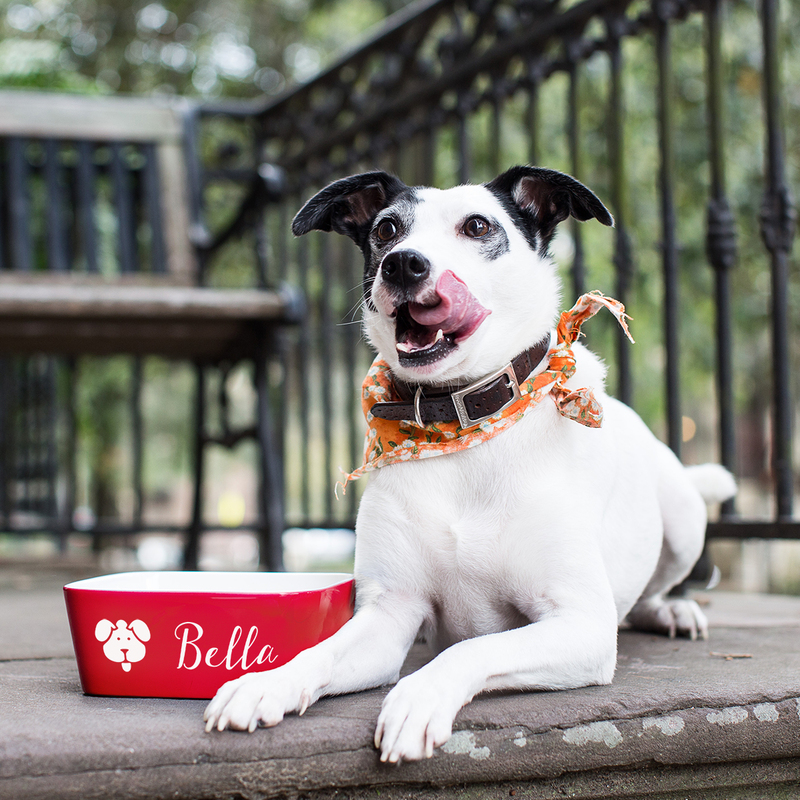 Your dog deserves to eat from a finely made ceramic food dish. This bowl comes in red, blue and black. The interior is white glazed and the personalization is engraved in white. Get one for food and one for water. Your best friend will love them! Order yours today!